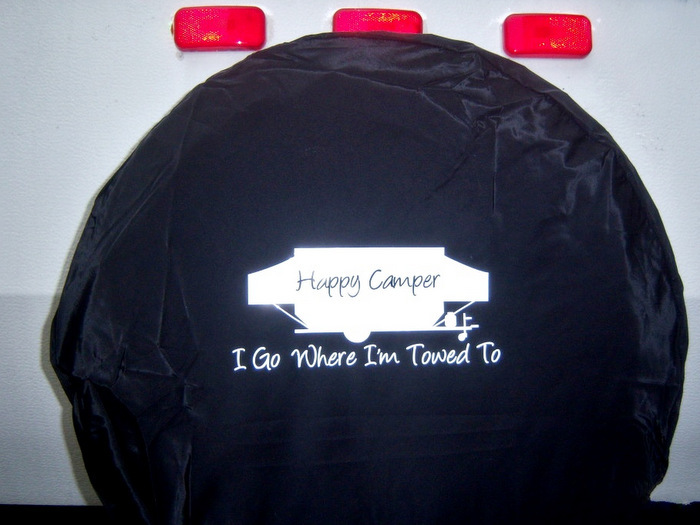 A high quality RV spare tire cover is an essential part of your RV gear. Anyone familiar with RVs knows that those giant tires are expensive, so why risk exposing them to the elements? If your motorhome, fifth wheel, or travel trailer has an exterior mounted spare tire, do yourself a favor and cover it up! Let’s face it, no one wants to have to use the spare tire on their RV. But…if the time comes wouldn’t you feel better knowing that your spare tire is in tip top shape? The side of the road is the worst possible place to discover that your spare tire is cracked or deteriorated in any way. With so many options out there, how do you know what kind of RV spare tire cover to choose? Let’s start with the basics. What Type of RV Spare Tire Cover is Right for you? There are two basic types of RV spare tire covers. The first is a hard cover made of a rigid material such as molded plastic, stainless steel, or a combination of both. These covers come in two parts that work together to protect the tire. A face plate covers the front of the tire, and a ring wraps around the tire and locks in place with a latch. Hard RV spare tire covers are available as all stainless steel, or as a combination of a molded plastic with a stainless steel ring. Often referred to as a Continental Kit, these tire covers provide the maximum amount of protection and security for your RV spare tire. 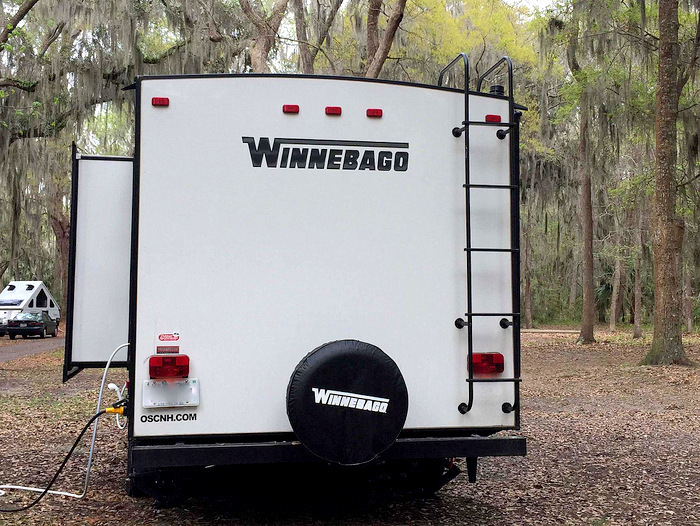 The second type of RV spare tire cover is a soft vinyl cover. These covers wrap around the spare tire and tighten in the back with an elasticized cord or sewn in rope that can be pulled tight. The higher end covers also include an interior felt pad. This pad rests against the tire providing extra protection and durability. 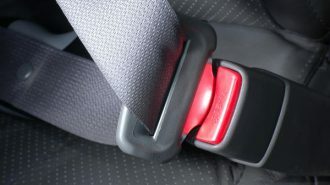 Most are constructed of heavy duty UV resistant fabric. Both types of RV spare tire covers have advantages and disadvantages. To make the most informed decision it’s important to consider all the factors. 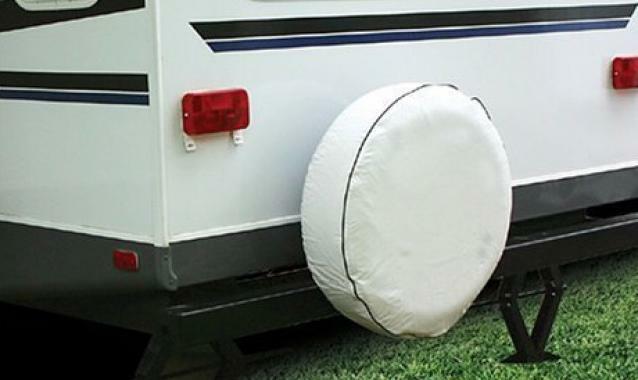 The clear advantage of this type of RV spare tire cover is the longevity it provides. A cover made of plastic or steel will hold up to the elements and last longer than a soft, vinyl cover. The other advantage is that a hard cover is resistant to the mold and mildew that can ruin a soft, vinyl cover. 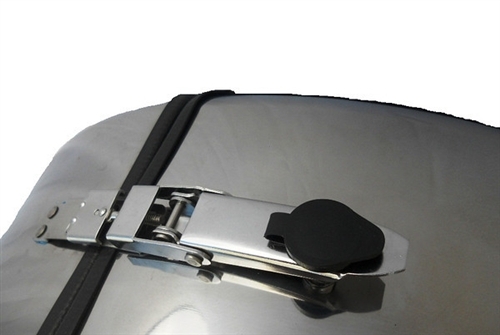 Finally, hard spare tire covers for RVs include a metal lock which provides security and peace of mind. On the flip side, the disadvantage of a hard RV spare tire cover is that they are more expensive. Quite a bit more expensive. On average, more than twice the cost of a vinyl cover. The second disadvantage is that a hard cover can be difficult to mount. You may need to modify your existing spare tire mount. 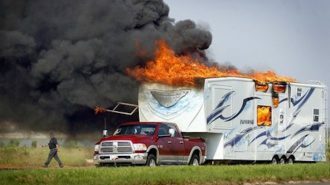 Even then, certain brands may not be compatible with your specific RV. 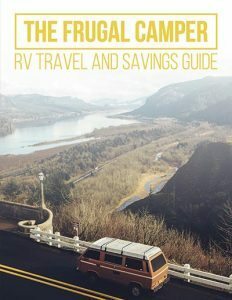 Aside from being easy on the wallet, the number one reason many RVers choose a vinyl cover is the wide array of available designs. From sports teams, military insignia, or nature scenes. 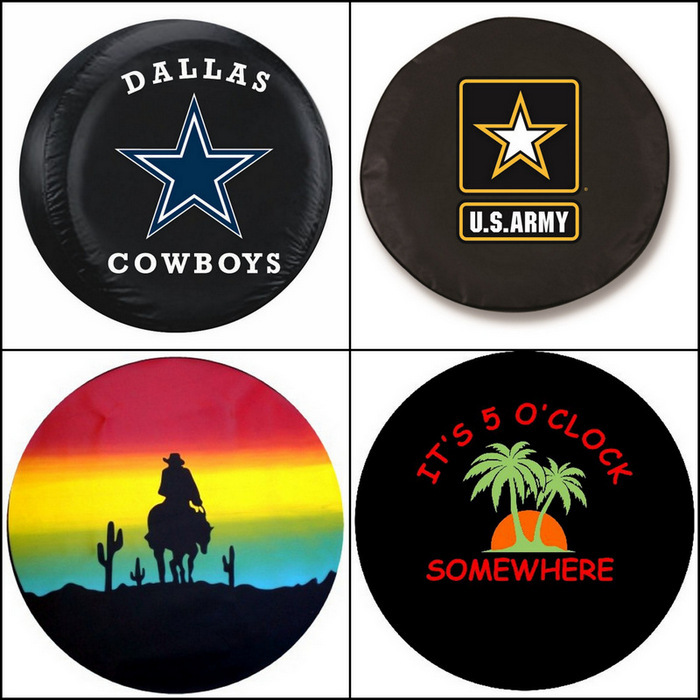 Chances are there is a vinyl RV spare tire cover that fits your personal style. It’s even possible to have a personalized vinyl cover made. Companies such as tirecovercentral.com allow you to upload a design and create your own custom tire cover. Just imagine, you could be driving down the road with your own artwork or logo proudly displayed on the back of your RV! Leaving aside the joys of a custom RV spare tire cover, there are several disadvantages to soft vinyl covers. The biggest is that they are far less durable than hard covers. Most RVers agree that a vinyl cover will only last a few years before it needs replacement. Over time the vinyl breaks down and becomes susceptible to tears and holes that leave your spare tire exposed. Also, as the vinyl ages it becomes soft, which could cause the cover to sag and fall off. The second disadvantage is security. Yes, some vinyl covers do come with a set of locking security grommets. These consist of two metal grommets secured with a plastic twist tie or small padlock. 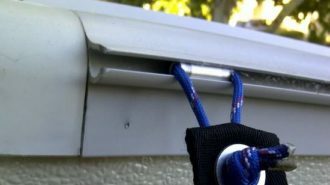 While this does provide a small measure of security, it simply can’t deter theft as well as a hard sided locking cover. 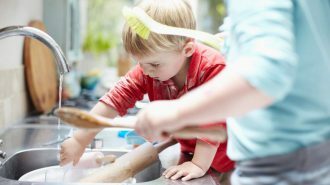 Now that you’ve decided what type of cover to buy, let’s discuss some tips for making a successful purchase. As with many RV related products, the easiest place to start is with the manufacturer. Buying direct from the manufacturer of your RV brand ensures that the RV spare tire cover will properly fit the tire. And in the case of a hard cover, that it will be compatible with your spare tire mount. A great example is company called Keystone. 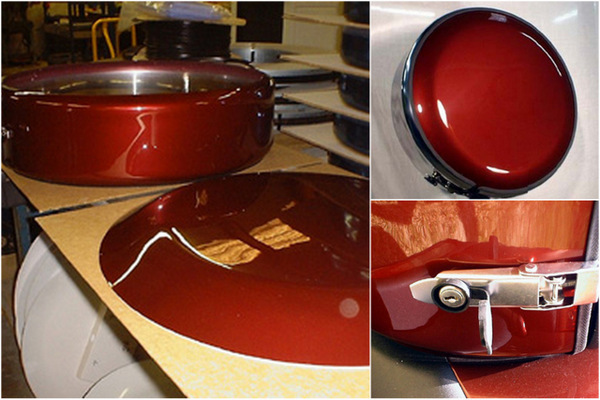 Keystone sells high quality RV spare tire covers made specifically to to fit the RVs they manufacture. Any Keystone owner can be sure that a Keystone RV spare tire cover will correctly fit the spare tire on their RV. Of course, buying from the manufacturer is far from your only option. A quick Google search of “spare tire cover for RV” will result in a dizzying array of options. Options such as the big guys like Amazon and Camping World, or small mom and pop operations such as RV Horse Spare Tire Coverz. The best way to make an informed decision on where to buy is to do a little research. 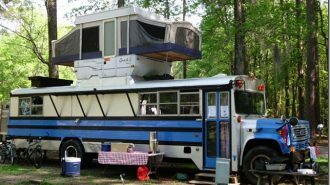 Find a company that has online reviews, or check RV forums such us RV.net and read what others have to say. A great tip for saving a few bucks while still getting a high quality product is to look for offers of free shipping. It may be possible to buy a RV spare tire cover with free shipping. Check out companies like Amazon, Camping World, Hannah Trailer Supply, or Tire-Covers.com. Whether you’ve decided on a hard or soft RV spare tire cover, it’s important to buy the correct size. When purchasing a soft RV spare tire cover look on the side wall of the spare tire for a number that looks something like this: 225/75/15. 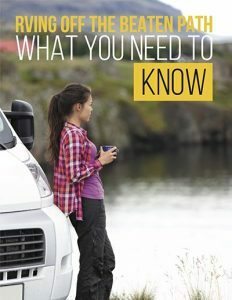 Be sure to look at the spare tire, because the tires on your RV might be a different size. Order a tire cover that matches the exact size of the tire. Some soft tire covers claim to be a universal size, but the fact is that the wrong size cover can lead to sagging, loss of protection, or even cause the cover to fall off while driving down the road. Measuring a tire for a hard RV spare tire cover requires a bit more effort. A hard cover fits snug around the tire, so you must provide the manufacturer with the exact tire measurement. You will need two measurements. Number one is the width. Calculate the width by standing the tire against a flat surface such as a wall. 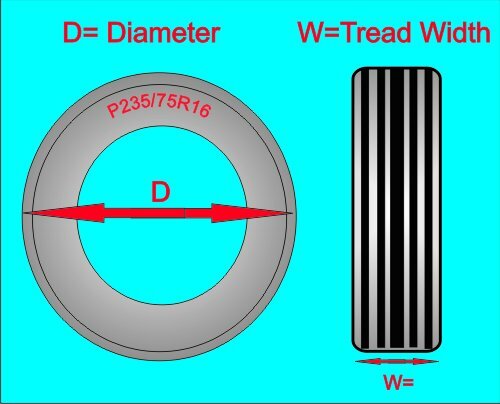 Measure from the outside edge of the tread to the flat surface to determine width. The second is the circumference. There are two ways measure circumference. Either wrap a rope or piece of string around the outside of the tire and then measure the string. Or, place a mark on the tire’s edge and the ground. Roll the tire one complete revolution and measure the ground. That measurement is your tire’s circumference. Let’s recap. When it comes to properly covering your RV spare tire you have a choice between a hard or soft cover. 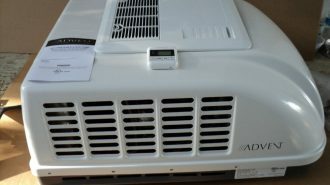 The hard covers are more expensive, but longer lasting and provide more security. The soft vinyl covers are inexpensive and available in a wide range of styles, but might not last as long, and may not protect your tire as well. 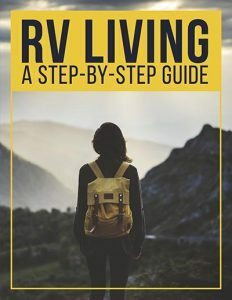 In the end, the decision comes down to how much you want to to invest, how long you plan to own your RV, and how much security you deem necessary for the spare tire. No matter what type of RV spare tire cover you choose, when the day comes that you need to use that tire, you can rest assured knowing that you took the steps to keep it in good working order.